Specialized becomes a major brand supporter of USACRITS.tv. This new concept, launching March 15th, helps support a sustainability and growth issue that exists for racing events and increases revenue for racing cyclists, #YouWatchTheyWin. Through increased prize money and support, the best will earn more, and the emerging will have a better chance at success in the American road bike racing environment. The majority of the road cycling races in the US and of the USA CRITS Series races are organic, local events. They are put on by local bike shops, local community organizations, or former racers just trying to give back. Most events agree they would love to have the revenue to increase the payout back to the teams and athletes and provide them with more support. The challenge of having no gate ticket revenue or the ability to push huge participant numbers through creates a ceiling on the available revenue to produce this growth. Events have supported the stream concept for some time. They want to showcase their community, the sponsors, and the teams, but currently the cost of streaming is absorbed by local budgets with little or no economic return. By sharing this costs with supporting fans, this expense can be better utilized by events. We are excited to have the most iconic brand in American cycling supporting this important endeavor. Specialized, along with our other supporters, will be key in getting the word out that you can both watch the most American form of bike racing, criteriums, and help give back to the teams and events at the same time. “We will have over 20 days of live racing with all 11 USA CRITS events and additional races that surround several of these events. Beyond the live broadcasts, we will have 20 plus events from previous seasons as video on demand, building archives of events and D1 Teams as the year progresses,” said Scott Morris, USA CRITS Development Director. “We are incredibly proud to partner with USA CRITS!! The racing is fast, fun to watch, & definitively American while the atmosphere of the overall events is inviting & inclusive of so much more than racing. Getting more people out to watch or participate in riding and racing is what we are all about, we are looking forward to a exciting year!” Sam Benedict, USA Marketing Leader. 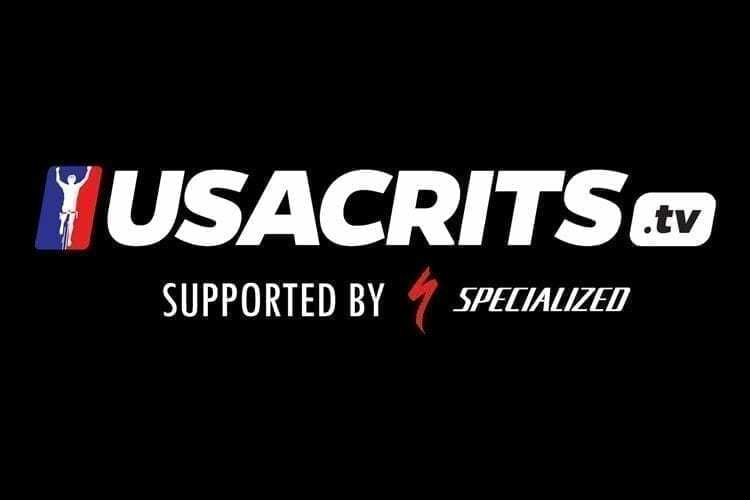 USACRITS.tv is designed to create a sustainable platform for the growth and funding of this passion. Membership and purchase of pay-per-view events will directly support additional live streaming, prize money, events, and most importantly, teams and athletes. Membership to USACRITS.tv will be $55 annually or $5.99 annual-paid-monthly. Fans will also able to purchase these races as pay-per-view by event for $15. Each membership level will return a split directly back to D1 teams and events, adding to the sustainability and growth of criteriums.